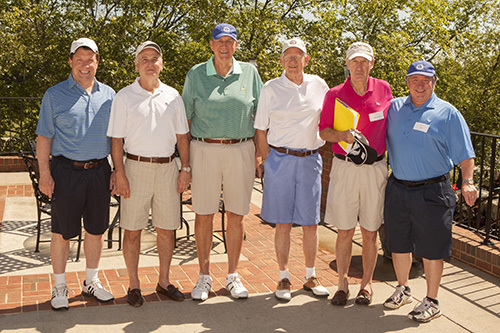 The John H. Kauffman Prostate Cancer Fundraiser hosted annually by the Dunwoody Country Club's Champions Golf Association is a community tournament that raises money for innovative prostate cancer research projects at Winship. Every May, more than 100 golfers with the Dunwoody Country Club's Champions Golf Association tee off at the John H. Kauffman Prostate Cancer Fundraiser, a community tournament that raises money for innovative prostate cancer research projects at Winship Cancer Institute. 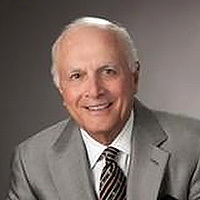 Kauffman, who was the inaugural chairman of Winship's Board of Advisors and a former patient, passed away in 2013. "He left an incredible legacy at Dunwoody, Winship, and throughout the entire community, and we thought that naming the tournament after him would help that legacy live on for years to come," says Richard McCraney, a former chair of the tournament. In the past eight years, the tournament has raised over $1 million for Winship and has allowed researchers to make remarkable progress in the fight against prostate cancer. "Proceeds from their annual tournament and gifts from other supporters have enabled us, in part, to recruit new prostate cancer scientists to Emory Urology and Winship Cancer Institute; research new tests for prostate cancer screening and detection, and open a multi-disciplinary prostate cancer clinic at Emory Saint Joseph's Hospital," says Martin Sanda, MD, Emory's Department of Urology. Champions Golf Association members John Mills, Charles “Butch” Price, Rick Menson, Wayne Thatcher, Richard McCraney and Ed Kennedy.